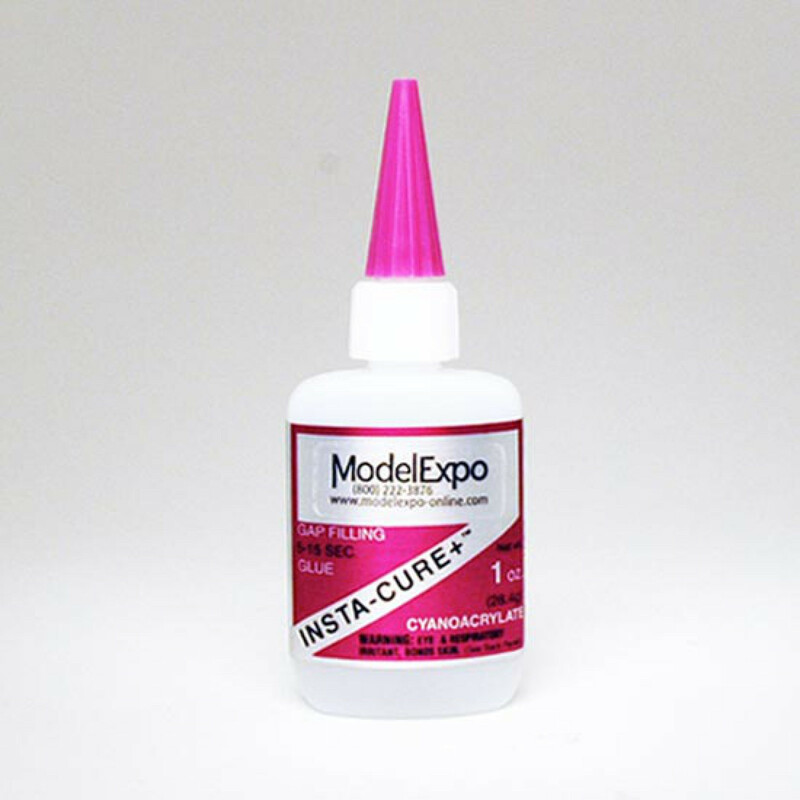 INSTA CURE™ SUPER THIN CA GLUE 1/2 oz. 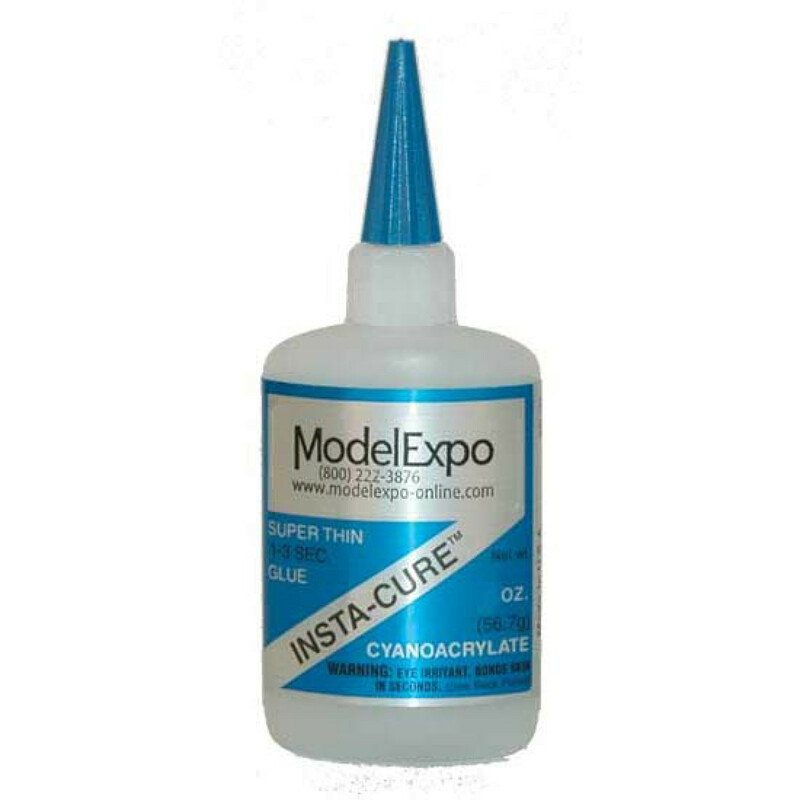 INSTA CURE™ SUPER THIN CA GLUE 2 oz. 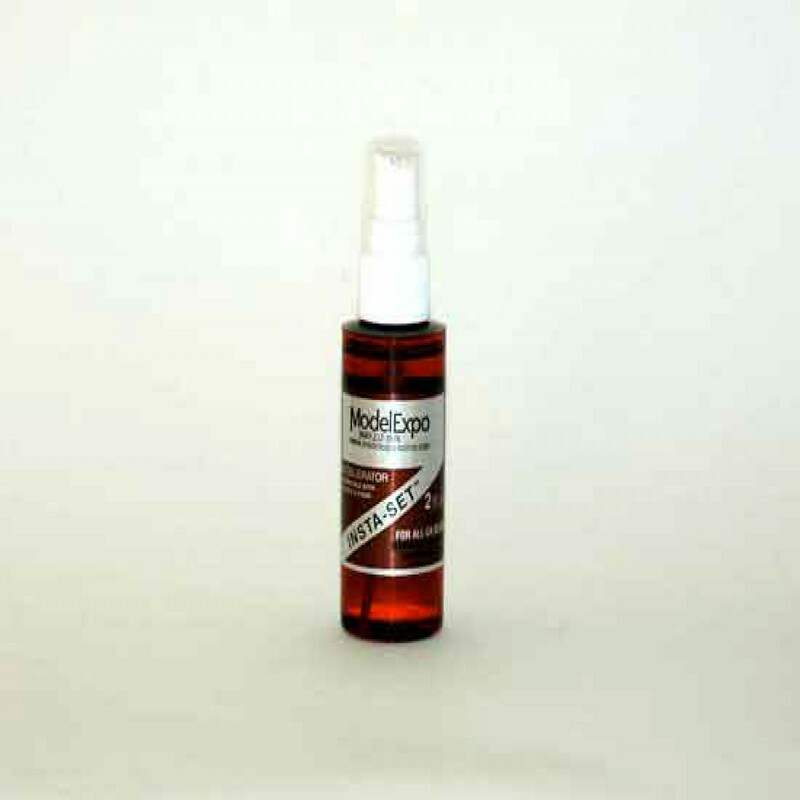 INSTA SET™ CA ACCELERATOR PUMP SPRAY 2 OZ. 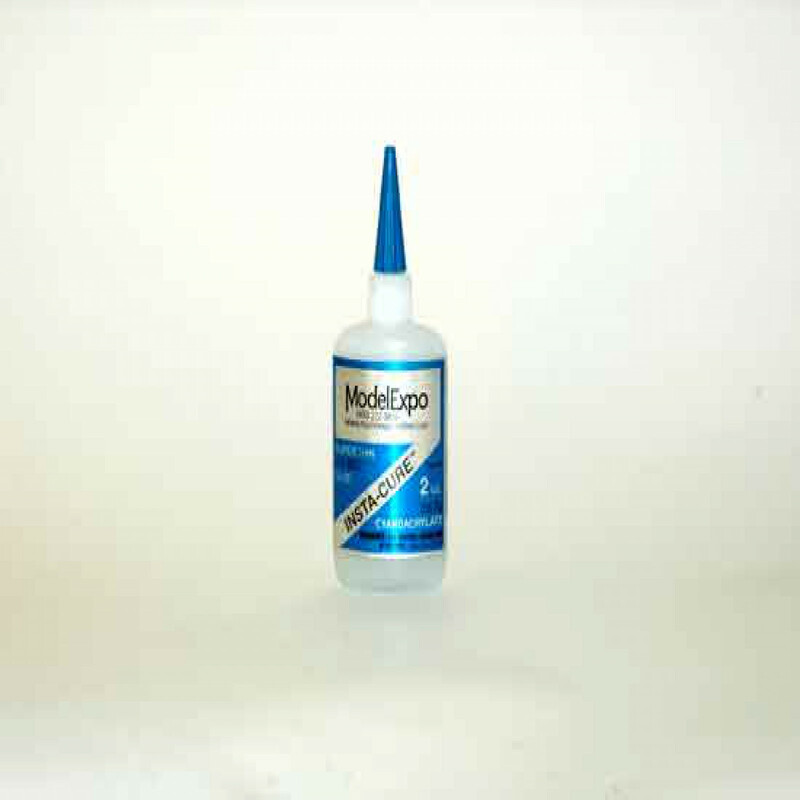 Cyanoacrylate (CA; Super Glue) works for most purposes. It can be used to quickly attach parts without need for clamping. Its near-instant setting, however, allows little to no time for positioning of parts after application. 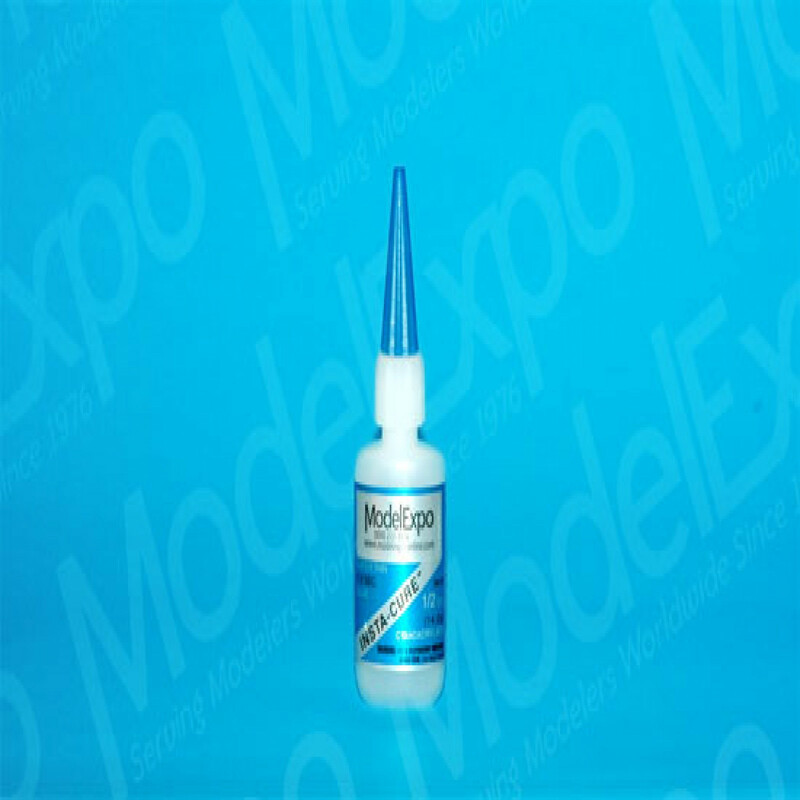 The best CA for most applications is a medium viscosity gap filling type. 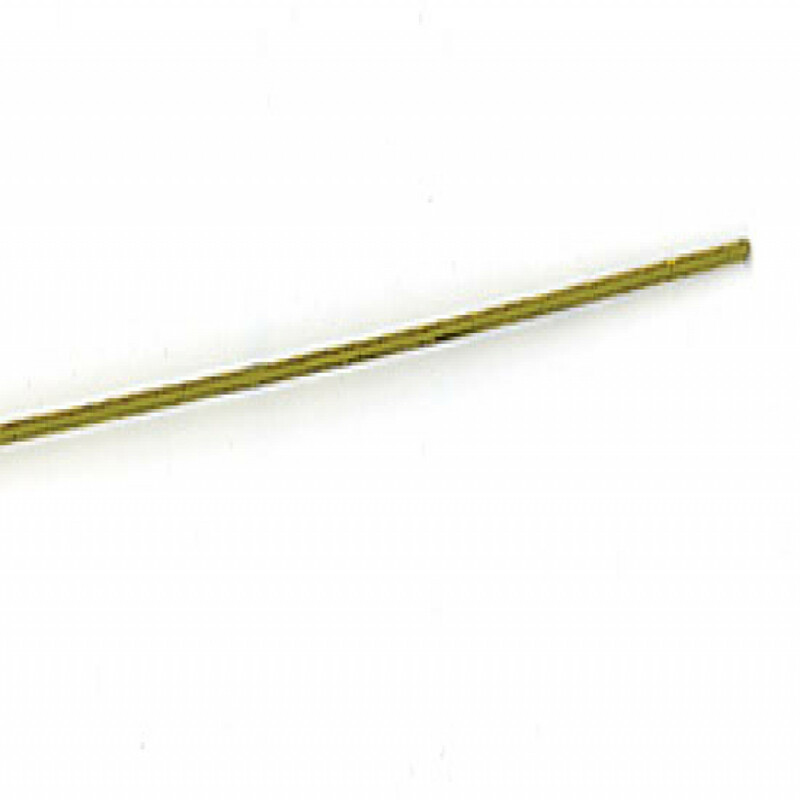 The watery thin type is recommended to fill a narrow crack by capillary action. Do not use on plastic parts that must remain clear and use with caution on wood intended to be stained (stain color may not be uniform where CA has been applied). 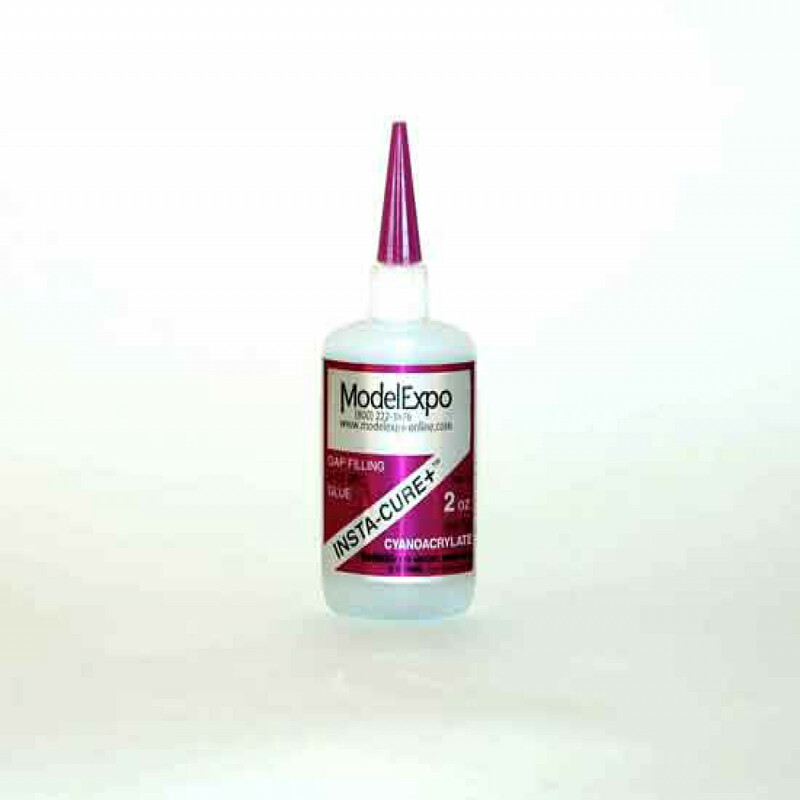 Five-minute epoxy provides extra strength for bonding metal parts together, and for bonding metal parts to wood. 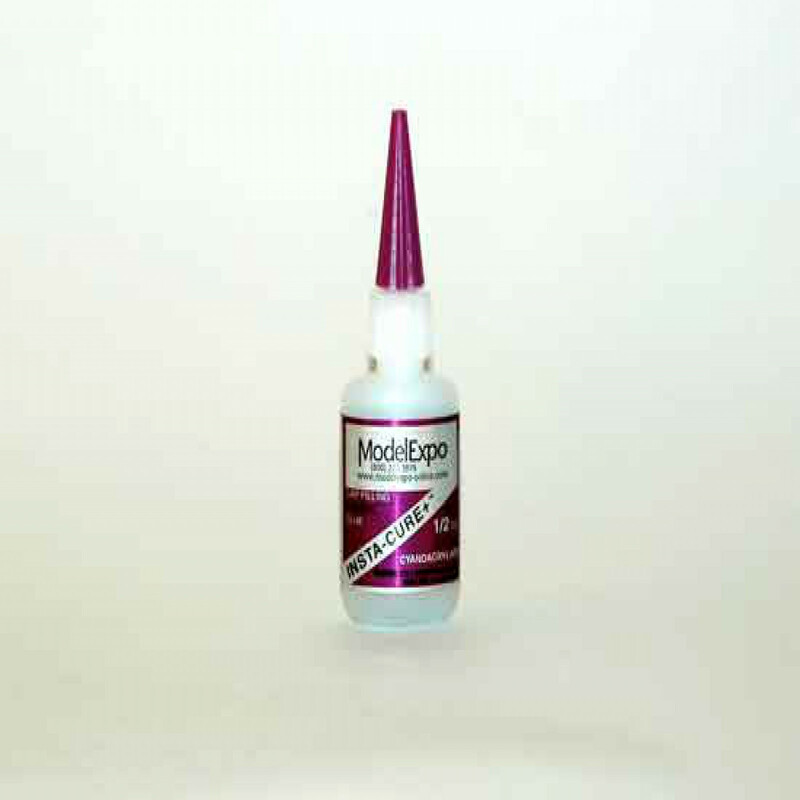 Carpenter’s wood glue (Titebond) is used for bonding wood parts with maximum strength. It is slower drying (joints clamped or left undisturbed for 30 min. to one hour; 24 hours for full strength) but allows positioning of parts after application of glue. It has some gap-filling properties and can be mixed with sawdust for larger gaps. 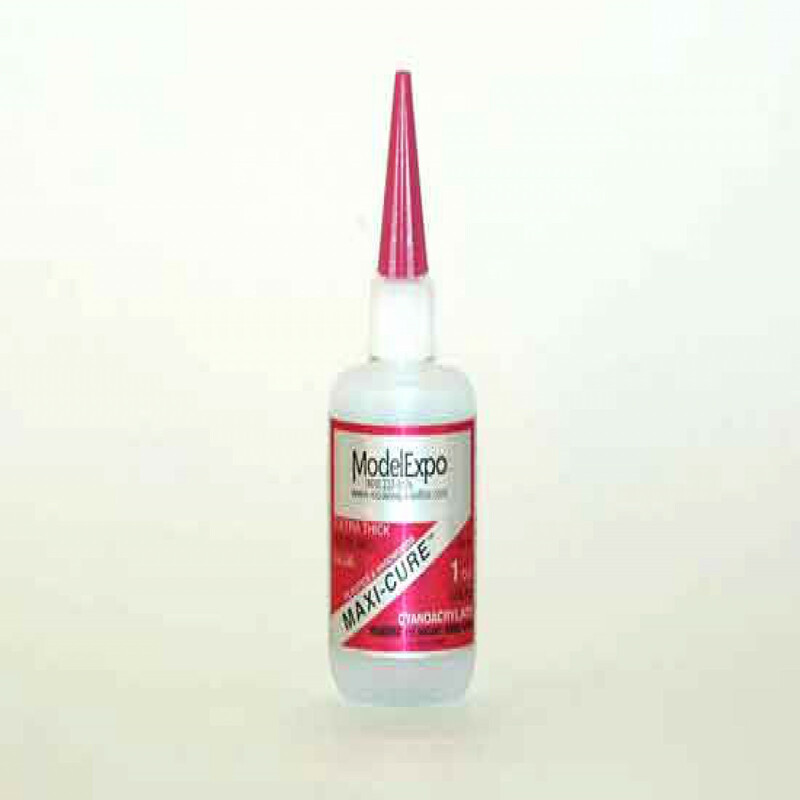 Excess wet glue is easily removed with a damp sponge. It is sandable and does not harden wood like cyanoacrylate. When thinned it is good for securing knots and ends in rigging lines and does not cause excessive stiffness. 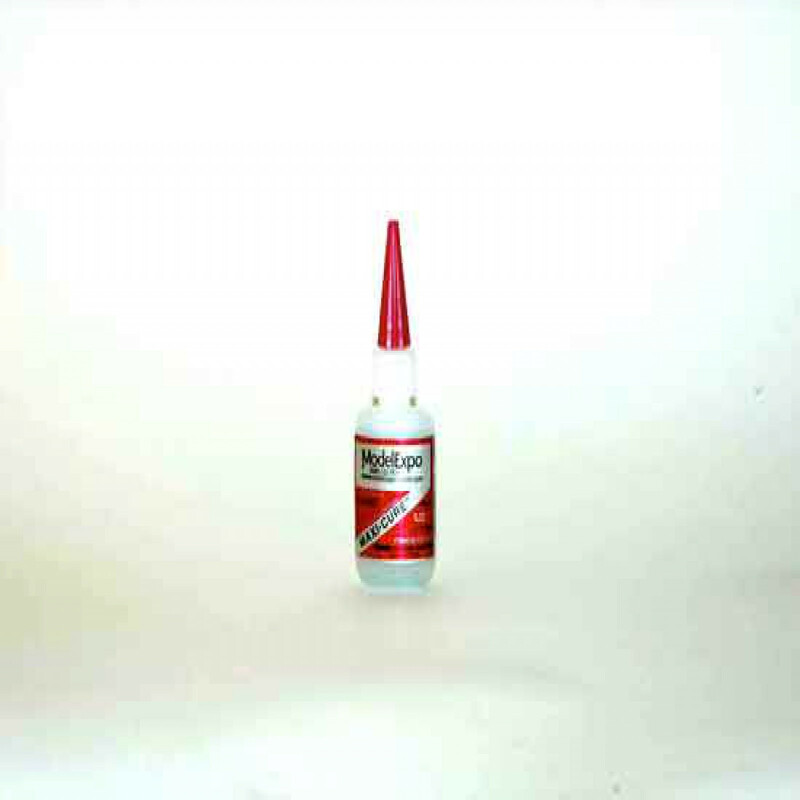 Handy to have are CA De-Bonder (just in case you have to take something apart), and CA Accelerator for an instant bond.